Your opinion matters. Leave your review of Stepping Stone Emergency Housing. 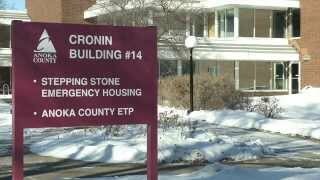 Description: Stepping Stone Emergency Housing is Anoka Countyâ€™s only youth & adult homeless shelter, and one of Minnesotaâ€™s most trustworthy non-profit organizations. In a dormitory-style setting, Stepping Stone provides a primary, yet temporary, â€œhomeâ€ to 66 men and women, as young as 18 years old. All residents, regardless of their time spent at Stepping Stone, have their basic needs met. We provide a bed to sleep, linens, three meals a day, shower, laundry facilities, and clothes and toiletries, when needed. On average, residents live at Stepping Stone for 90 days. However, some stay less time and some stay more, depending on their need. During their time here, our Shelter Advocates make sure that their day-to-day, shelter needs are met. On the other hand, our Case Manager meets with each resident one-on-one to develop a comprehensive Individual Goal Plan (IGP), ensuring that the residentsâ€™ needs for leaving Stepping Stone are also met. The IGP determines the ultimate goal of each resident and defines the attainable goals in which to achieve their goal. Regardless of the program or length of stay, all residents of Stepping Stone are supplied their BASIC NEEDS, at all times. Donation Requests by Stepping Stone Emergency Housing: Stepping Stone is a registered 501c3 non-profit, Tax ID #20-3226868. Do you have items to donate? Contact Stepping Stone Emergency Housing at the phone number provided above to see if they can use any items you may have to donate.